Chrysler was first organized as the Chrysler Corporation in 1925. On June 10, 2009, the sale of most of Chrysler assets to "New Chrysler", formally known as Chrysler Group LLC was completed. The federal government financed the deal with $6.6 billion in financing. Contracts with 789 U.S. auto dealerships were dropped as part of the sale. Chrysler has long been known as a manufacturer of luxury vehicles. The Current Chrysler model lineup includes the Sebring Sedan and Sebring Convertible. The Chrysler 300 is a luxury sedan that has bold styling and numerous luxury appointments. The PT Cruiser features retro styling that has been imitated, but never duplicated, by the competition. The Chrysler Town and Country Mini Van offers a luxurious alternative to young families. Jeep is registered trademark of Chrysler. It is the oldest off-road and SUV brand. The original vehicle first appeared as the primary light 4-wheel-drive vehicle of the US Army and allies during the World War II and postwar period. Current Jeep models include the Jeep Wrangler JK and Jk Unlimited, a 4 door version. The Grand Cherokee, Commander, Liberty, Compass and Patriot are all current models. 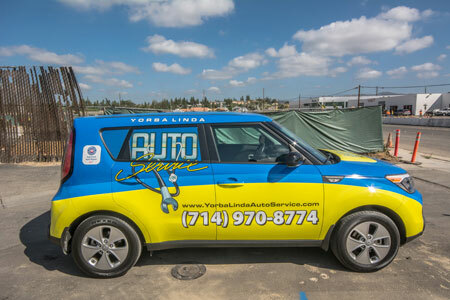 For quality auto repair and Chrysler Repair in the Yorba Linda on all Chrysler and Jeep Models request an appointment.